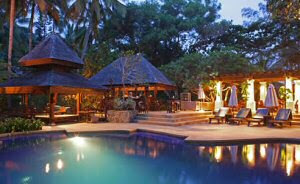 Not mentioned in all travel guides is the luxury Tanjong Jara Resort Terengganu on the east coast of Malaysia. From the same builders of tropical paradise Pangkor Laut Resort Malaysia. This is undoubtedly the best resort on Malaysia's east coast: remember that the East Coast of Malaysia is a Muslim stronghold that frowns upon massages and bikinis. Therefore do dress up "politely" wearing a sarong to cover your legs and make sure to cover your top when strolling around in Terengganu. Once you are on the beach of in the pools of the Tanjong Jara Resort Terengganu, you can behave and wear as you would do in any other resort of the globe. Kuala Terengganu is a small rural town on the East Coast of Peninsular Malaysia. It is easily reachable by Malaysian airlines and used to serve as a gateway to reach Pulau Redang. You can also take a 4 to 5 hour taxi drive from Kuala Lumpur if you don't feel like flying due to the H1N1 virus. Do leave your resort to stroll around in the every day life markets and shops in Kuala Terengganu town for local produce and food items as well as hand-drawn batik cloths and local handicraft. Prices will be much cheaper than buying similar products in the resort. Apart from strolling around and experience life of the locals, do enjoy a massage in the Spa Village of the Tanjong Jara Resort Terengganu. 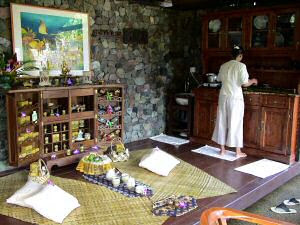 Just make sure to ask for a soft or hard massage, so the Spa can give you a masseur according to your preference.